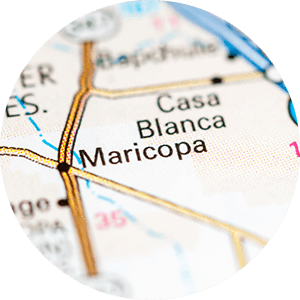 Province in Maricopa, Arizona was voted the best active adult community in the U.S. in 2006 by the National Association of Home Builders. 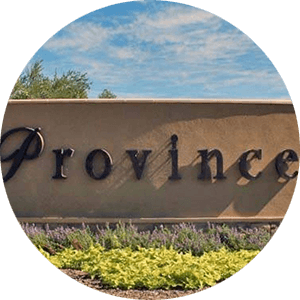 Province is a beautiful, gated retirement community featuring acres of lakes, landscaped parks and lots of open space! 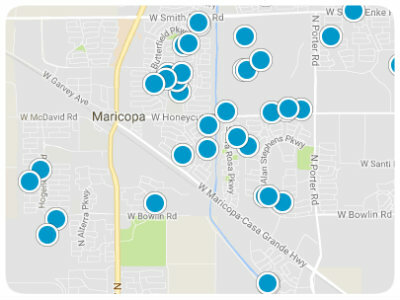 The homes in Province range from 1100-3000+ square feet, and include “villa” styled homes and single-family homes. 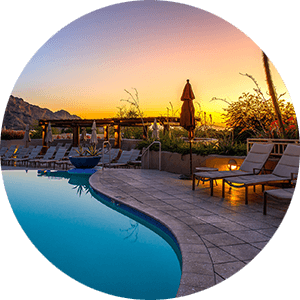 Province features a 32,000 foot recreation center with indoor and outdoor pools, tennis courts, fitness center, basketball courts, rooms for arts & crafts, sewing, ceramics, walking trails, and more!